Before using any cleaning solution, test a small area of the floor to make sure that it is effective and not harmful to the surface. Whenever you are using cleaning compounds, follow the manufacturer’s instructions for handling, application, cleanup and disposal. Where recommended, wear protective gear such as gloves and filter masks to avoid skin irritations or injury and to minimize breathing harmful fumes. 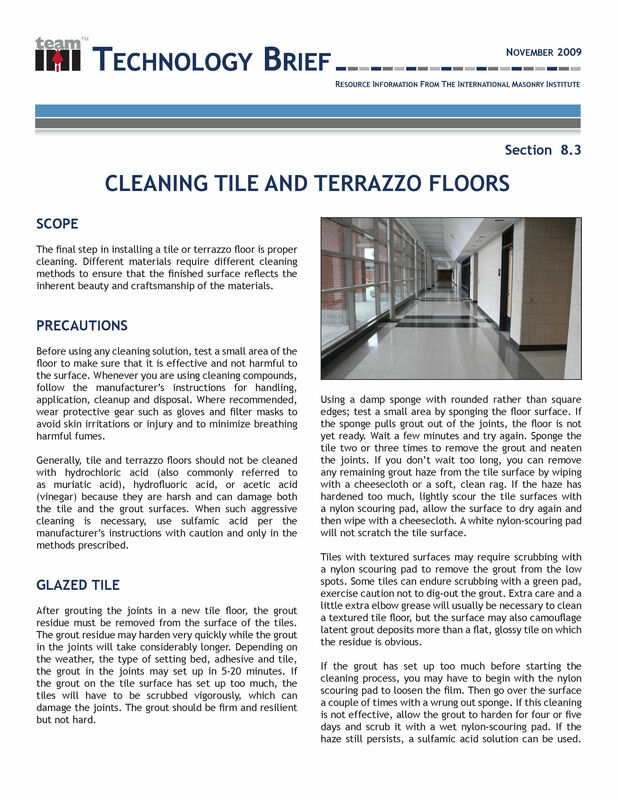 Generally, tile and terrazzo floors should not be cleaned with hydrochloric acid (also commonly referred to as muriatic acid), hydrofluoric acid, or acetic acid (vinegar) because they are harsh and can damage both the tile and the grout surfaces. 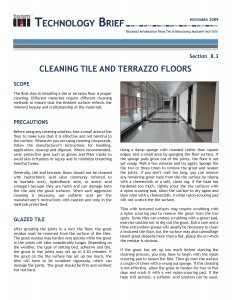 When such aggressive cleaning is necessary, use sulfamic acid per the manufacturer’s instructions with caution and only in the methods prescribed…..